Exclusive discounts from The Clymb, half off Aerie bathing suits, 6pm’s End of Season Clearance Sale, and more lead Monday’s best lifestyle deals. The Clymb has everything you could need to get outdoors and do it properly, for a whole lot less than you’d think you’d need to pay. Right now, take your pick of apparel, gear, hiking accessories, and more, and grab 15% off when you use the code KINJA15. With brands like Prana, Burton, Merrel, New Balance, Klymit, and more, there’s something for every outdoorsman. The Clymb works as a flash sale site, where you sign up for access to thousands of products for up to 70% off what you’d normally pay. Just enter the promo code when you check out and you’ll get an additional 15% off. One of this biggest problems with buying bikinis, besides finding the right size, is having to buy two separate things. Even with affordable swimsuits, you wind up spending $50+ on two small pieces of fabric. Aerie wants to help you out by giving taking 50% off their entire collection of swimwear (including one pieces), today only. There must be something in the air, because J.Crew Factory has had major discounts lately. Use the code ECLIPSE and take an extra 50% off all clearance items, which is insane seeing as practically everything is already marked down under $100. Maybe hold off on cleaning out your closet until after this sale is over. Lou & Grey used to be a humble section of Ann Taylor that has now exploded into its own great brand. I’ve written about how much I love the brand, and right now they’re giving you an extra 30% off their sale items, plus free shipping. 6pm is Zappos’ deals site and they’re hosting their End of Season clearance sale, with 60% off or more on select apparel, shoes and accessories. Score stuff from Coach, Adidas, Nike, Calvin Klein and more for a fraction of the price. If you’ve ever eaten at a nice steakhouse, you were probably eating sous-vide meat. 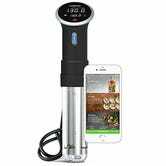 Here’s a secret though: It’s really easy to get those kinds of results yourself, and Amazon’s here to help with a $169 deal on the newest Wi-Fi version of Anova’s top-selling immersion circulator, as well as a $11 deal on the older Bluetooth model. We’ve seen these for less, especially around major sale events like Black Friday and Prime Day, but these prices are at the bottom of these circulators’ usual price ranges, if you’ve been meaning to pick one up. 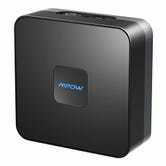 Today’s deal is a match for the best price Amazon’s offered all year. Nothing beats a massage after a tough day at work, and this $23 pillow includes four rotating massage nodes and infrared heating to knead your aching muscles. Now you won’t have to drive yourself to the mall to sit in the Sharper Image massage chairs. It even comes with a car adapter, so you can use it during your commute! Today only, Amazon’s offering big discounts on nearly a two dozen Nerf guns and accessories. So what are you still doing here?